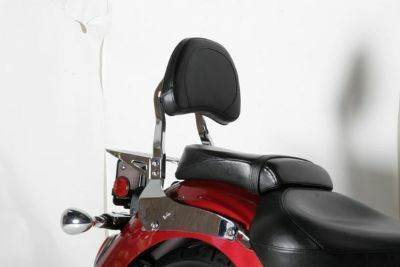 Quick Detach Complete Touring Backrest Kit with Luxury Swivel Touring Backrest. Hardware is finely polished and finished with a durable and rich chrome plated coating. This hardware is for a quick release style sissybar, enabling the sissybar to be easily removed when not required, (mounting brackets stay in place ). Jardine luggage racks are also available separately, these attach to the Jardine mounting brackets.